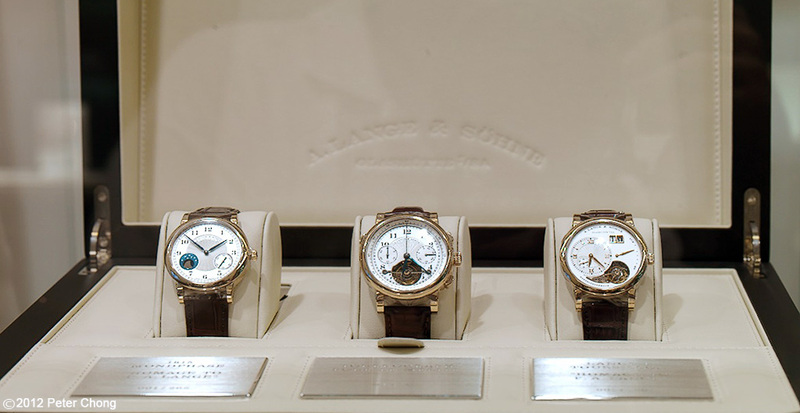 A. Lange & Sohne opens boutique in Singapore. Soft opening, with the boutique open for business and showing. The official opening is currently scheduled for February 28, 2013. 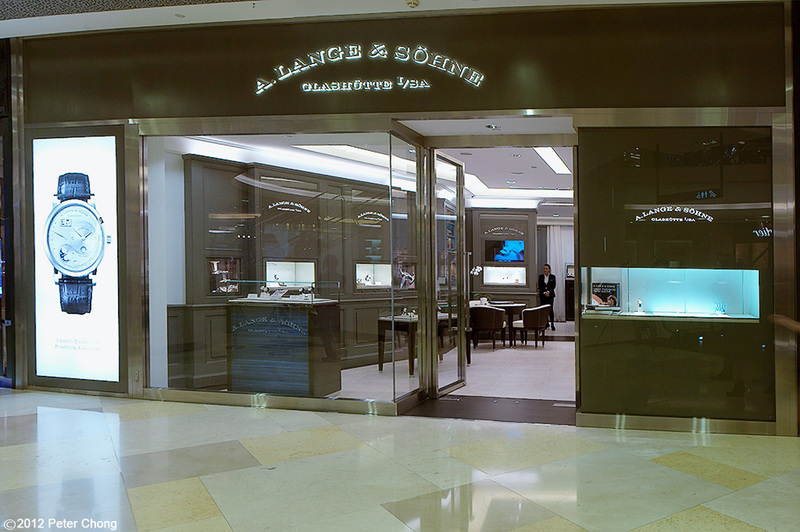 Singapore Lange fans can expect some celebration and exhibitions during the first week of March to mark the official opening. Here is a glimpse of the new boutique at Ion Orchard. Photograph was taken just before Christmas 2012, hence the Christmas tree. And special for the boutique, the Honey Gold Tribute to FA Lange set, comprising of the 1815 Moonphase, the Pour le Merite Tourbograph and the Lange 1 Tourbillon in honey gold. Set numbered 1. Photographically speaking this is a challenging interior to shoot. The mix of lighting modes created spots with different colour temperatures. And the high intensity lamps used for lighting the display cause havoc to the dynamic range of the photograph. I decided to let the window displays washout, as the rest of the interiors were more critical. 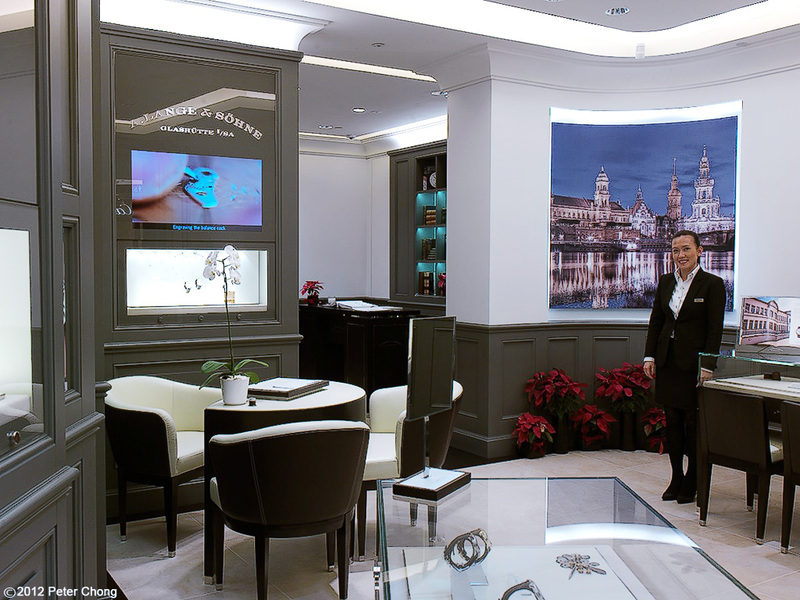 In a print, the window display can be saved to show some detail, as print media has a larger dynamic range and lattitude than the web.